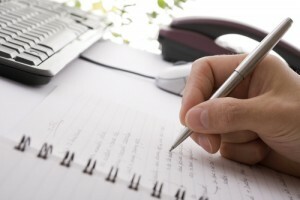 You are at:Home»Featured»The Amazing Power of Checklists for Web Pages and More! Checklists have been with us for many years, especially in critical industries where a mistake could make the difference between life and death. We’ve all seen footage of pilots in the cockpit doing a careful checklist before takeoff. And we know the ground crew does similar check listing before each takeoff. I suspect commercial aircraft checklists have significantly improved, as airlines are much safer than 20 years ago. And we’re all grateful. Also recent studies in hospitals have shown the power of checklists to reduce patient deaths in specific treatments by significant percentages. But how many of us use checklists in our businesses to ensure the longevity of our livelihoods? I suspect many of us are too busy running-on-the-fly to develop comprehensive checklists for the many tasks we do. I deal with many different kinds of media: articles, e-mail blasts, newsletters, web pages, press releases, etc. I pride myself on being particular and organized, but I found myself making simple mistakes in some of my work. I see others also making mistakes. Some are serious. Just the other day I was reading an insert in a trade magazine that said “A Word from Our Sponsor.” It was an informative piece, so I looked for the company’s web address. It wasn’t there. Then I looked for other contact information … a phone number or email address. Nothing. By necessity, I began developing comprehensive checklists for each category of work I do. I even have one just for my Business Journal columns. Today, my checklists ensure I won’t forget an important element of a campaign. By the way, checklists are even more important when it comes to developing your website. When it comes to web pages there are always more layers of complexity added as the years go by. For example, years ago we didn’t worry about adding social media tools to a web page. They just didn’t exist! Below is the checklist I’ve developed for a web page. All of the above items will not be applicable to every web page or client, but they should all be considered when planning a web page. On a cautionary note, once a checklist for a task is established it’s easy to overlook: When was the last time you paid attention to the checklist on the back of a payment envelope? Your checklists will only be as good as how diligently you use them.